Israel is a new country with a very long history and many surprises for the traveler. It’s possible to cross from north to south in just a day, so a week is enough time to see most of the highlights, from beaches, to museums to holy sites. Welcome to Tel Aviv, Jerusalem and the Dead Sea . . .
It’s easy to have misconceptions about Israel, which has had a short and tumultuous twentieth-century history as a nation but also 4500 years of history before that. Home to ancient battles, famous kings and world religions, today it is a modern, cosmopolitan country where people from all over the world have chosen to live. You’ll experience a wealth of customs, traditions and languages, in one of the world’s most diverse destinations. This bustling modern city attracts small and large innovative firms and is actually Israel’s favorite city for start-ups. Some say it has the look and feel of a ‘Little Miami’, and it’s true that the sun shines all year long. The beach is right in the city, palm trees are everywhere, there are endless kilometers of bike paths and there’s a thriving culture of coffee shops, bars, restaurants and big parties. It’s a city of young and dynamic people. Go to the beach – Gordon Beach was, without hesitation, our favorite. Israeli people here typically spend their Saturdays sunbathing, cycling around on their electric bikes or strolling along the sea. Museums – you’ll find it hard to choose just one, but the famous Tel Aviv Museum of Art, built in 1932, is architecturally impressive on the outside and equally intriguing on the inside. You’ll find art collections from the sixteenth century to nowadays, including painting, sculpture, video, engravings and photography. 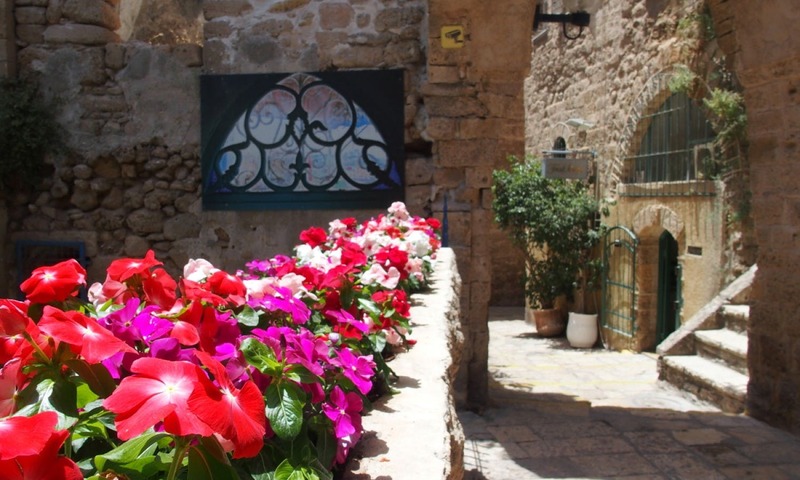 Jaffa (Old Port) – we discovered this fascinating ancient district with a local guide, who told us all about the history and legends of the oldest port in the world. It’s been a place where politicians, rulers, merchants, goods and exotic animals have met for thousands of years. 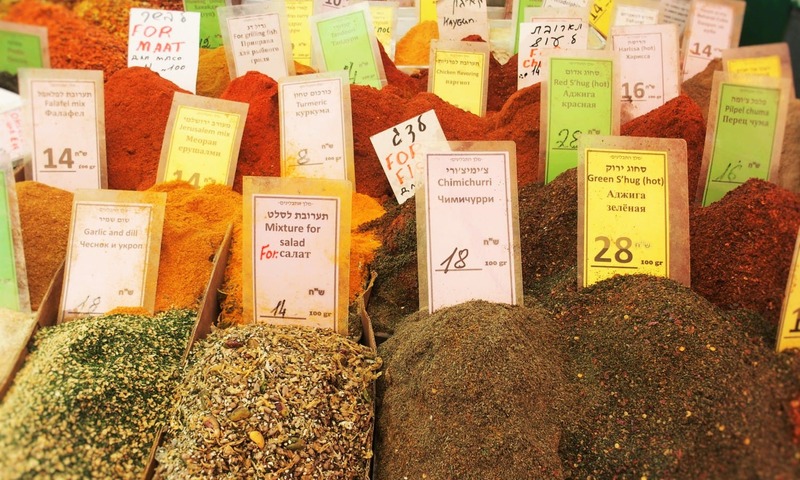 Food and drink – there’s enough choice to suit everyone in Tel Aviv, from all-night fast-food stands to Michelin-starred restaurants, trendy bars and coffee shops. At Carmel Market, you can buy fresh fruit and vegetables, meat and fish, and any kind of spice you like. You also have to try classic Israeli street food such as hummus, shawarma and falafel. Don’t miss the exotic fresh fruit juices, which are really tasty! The Dead Sea, unique in the whole world, is unmissable if you’re in Israel. Of course, it’s actually a lake 427 meters below sea level where Jordan, Palestine and Israel meet. It’s ‘dead’ because, with, almost 30% salinity, no animal or plant is able to survive. At the beach of Ein Bokekyou can enjoy the traditional Dead Sea activities of floating on the surface while reading your favorite book and covering your body with mineral-rich mud to revitalize your skin. You can also take the Snake Path towards the dramatic cliff-top fortress of Masada just before dawn to enjoy an amazing sunrise over the desert. However, you must be careful when bathing in the Dead Sea. Avoid getting water on your face or mouth. Don’t dive! The salt will really hurt your skin and eyes! Via Dolorosa – The ‘Way of Suffering’ is the most famous street in old Jerusalem and reputedly follows the exact steps taken by Jesus on his way to the crucifixion. The Dome of the Rock – this sacred place, built 1300 years ago, is a classic Jerusalem sight, but we advise you to go in the early morning to avoid the long queues. Beginning of Shabbat (the Sabbath) – meet on Friday evening, right before sunset, in front of the Western Wall (mur des lamentations) to experience the prayers, songs and dances at this sacred site for Jews. 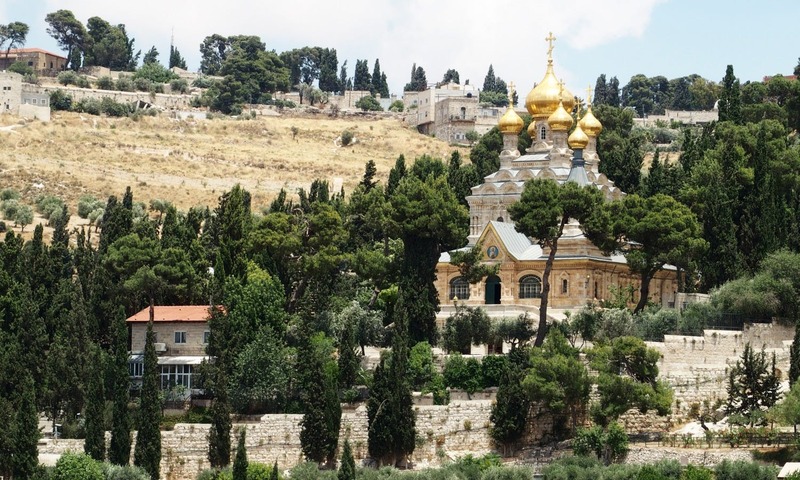 The Mount of Olives – take the marked route up from the bottom and stop by the magnificent churches and places of worship along the way. 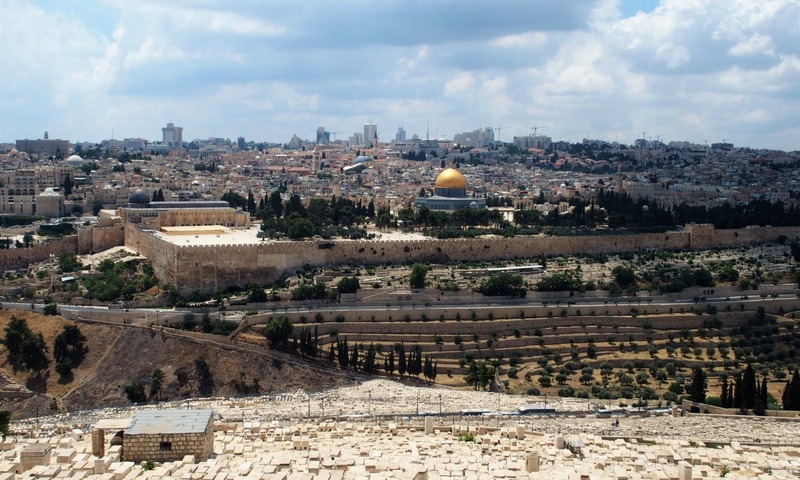 From the top of the hill, you’ll enjoy a breathtaking view over Jerusalem. 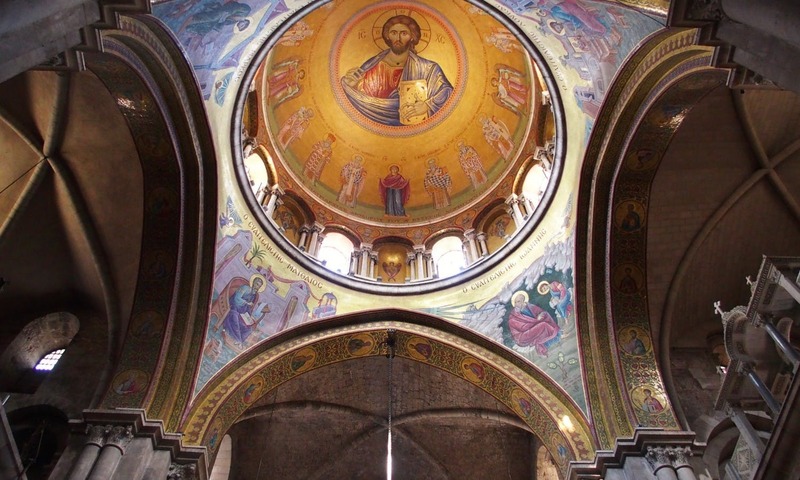 Church of the Holy Sepulcher – believed to be the place where Jesus Christ was crucified, died and buried, this is the most important church in the Christian religion and an unforgettable experience. Lucile, from Paris, left her city in 2008 to explore other parts of the world. She has lived in Spain, Mexico and she chose to stop for more time in Milan, Italy, where she’s working as an account manager in the Travel Industry. Passions: cactuses and exploration.